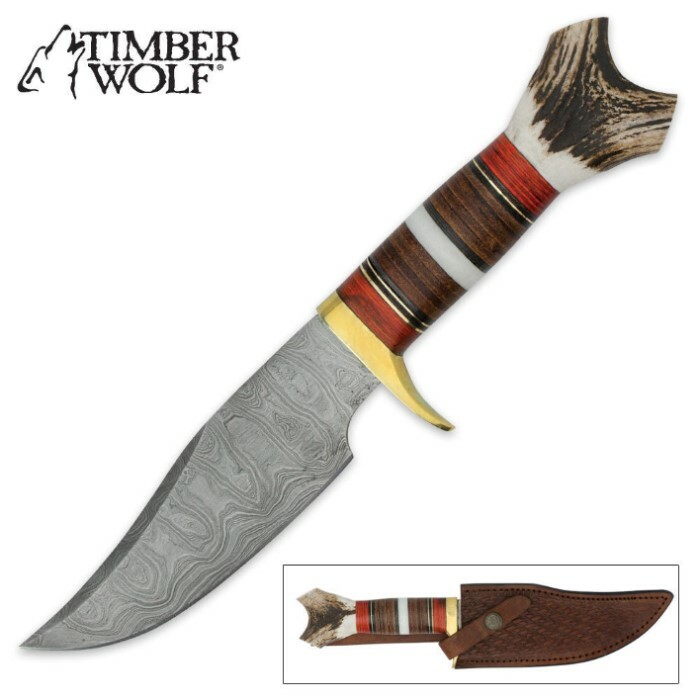 Timber Wolf Damascus Hiker Bowie | BUDK.com - Knives & Swords At The Lowest Prices! Don't go on another hunting trip without this exquisite bowie from Timber Wolf. With this handsome bowie, elegance meets practicality in one exceptional knife. This quality knife makes a great gift idea for anyone. Surprising quality. Form and fit is outstanding. The blade quality is very good. The grip is classic. The blade is also very functional. Not too big and not too small. I highly recommend it for those who are serious collectors.